All adults have head of Trojans and many men have tried one at one time or another. Trojan makes a line that is more comfortable for the above average size man but even so it can be a conundrum on which one to try. 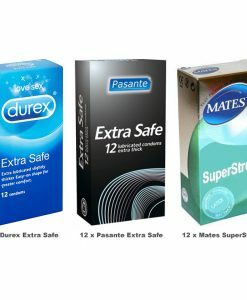 Does having great comfort and fit mean you have to give up the special sensations that average men find in other condoms? 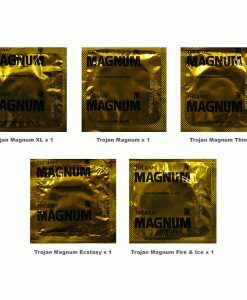 All Condom makes it easy for you to experience superb fit as well as sizzling thrills with the Trojan Magnum Condoms Trial Pack. 1 x Trojan Magnum – Similar to the Magnum Thins, this condom is 8.07 inches in length, 54 mm at the base for a more snug fit, and 60 mm at the head for even more comfort. With a sheerness of 0.07mm thick, you are assured enhanced sensitivity as well as dependable protection. 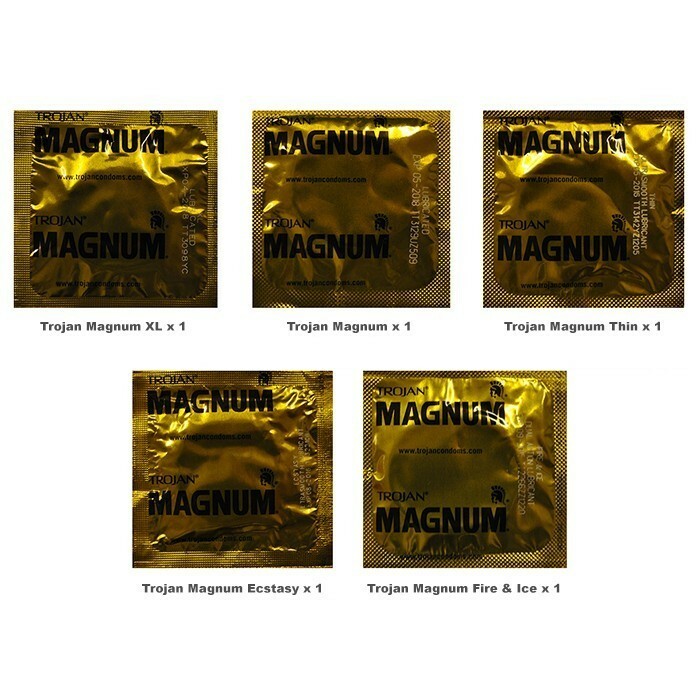 1 x Trojan Magnum Thin – Each Trojan Magnum Thin condom is tapered at the base for security and features a reservoir tip and UltraSmooth premium lubricant for comfort and sensitivity. As you would expect, this condom is 205 mm in length and 54 mm wide. It is a sheer 0.06mm in thickness. 1 x Trojan Magnum Ecstasy – Textured for abundant stimulation for both partners, the comfort shape allows freedom of movement for a more natural experience. 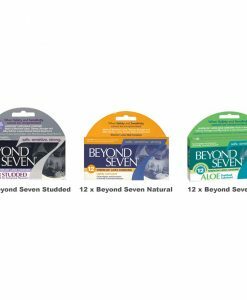 While it is tapered at the base for a more secure fit, the head of the condom is large and rounded which provides the sensation of wearing no condom at all. 1 x Trojan Magnum Fire & Ice – Trojan Fire & Ice Condoms takes a traditional Trojan condom and adds a revolutionary new dual action lubricant for thrilling sensations of pleasure. Both partners experience warming and tingling sensations when the lubricant is activated.